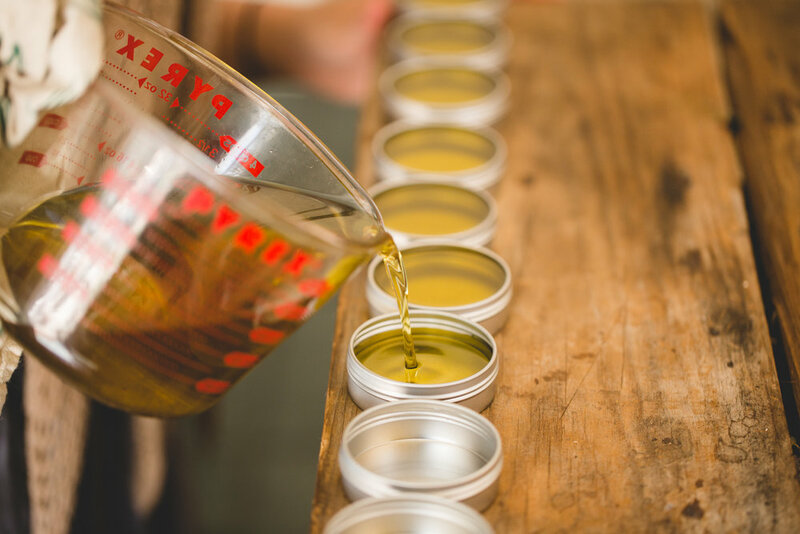 delicious earthy scents, but provide your tired and overworked muscles some relief from aches and pains, provides anti-bacterial & microbial qualities and helps to heal dry skin. Grab a jar the size of your choice. 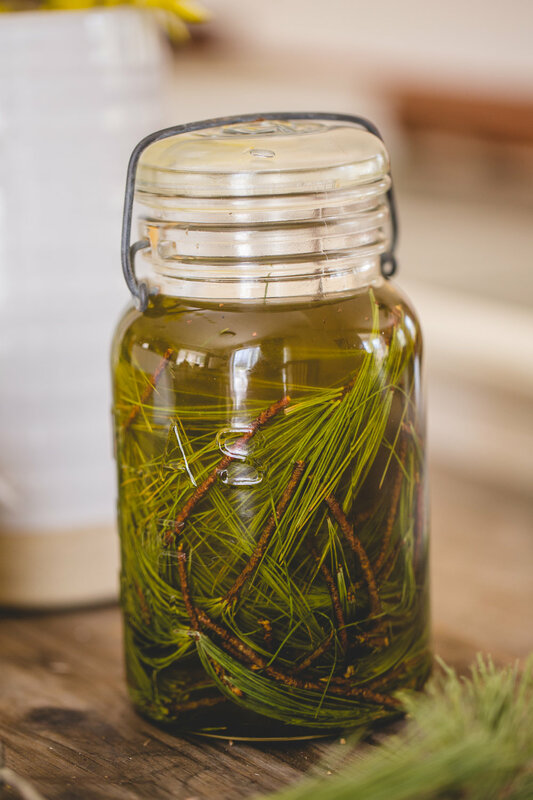 Stuff the jar with New England Evergreens. I like to use a combination of white pine needles, juniper, juniper berries and spruce. Fill the jar 3/4 of the way with the plant material. 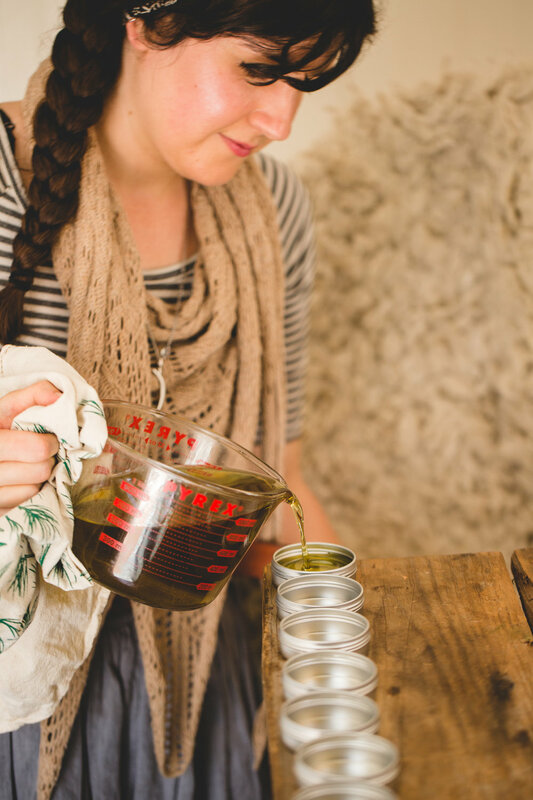 Pour organic olive oil into the jar so that all the plant material is submerged. Pack it down with a chopstick or spoon to release any air pockets. Label the jar and set in a dark place for 4-6 weeks. 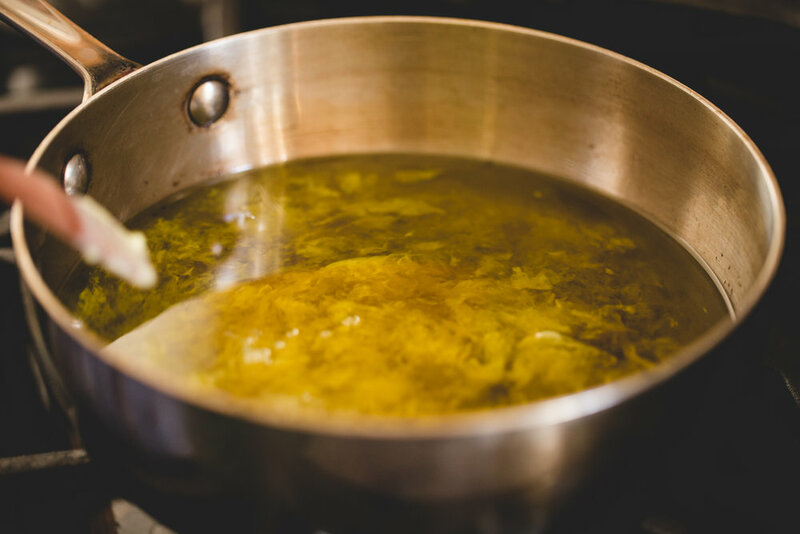 After 4-6 weeks has passed, strain out the oil using a cheese cloth or strainer. In a medium saucepan, melt beeswax over low heat. 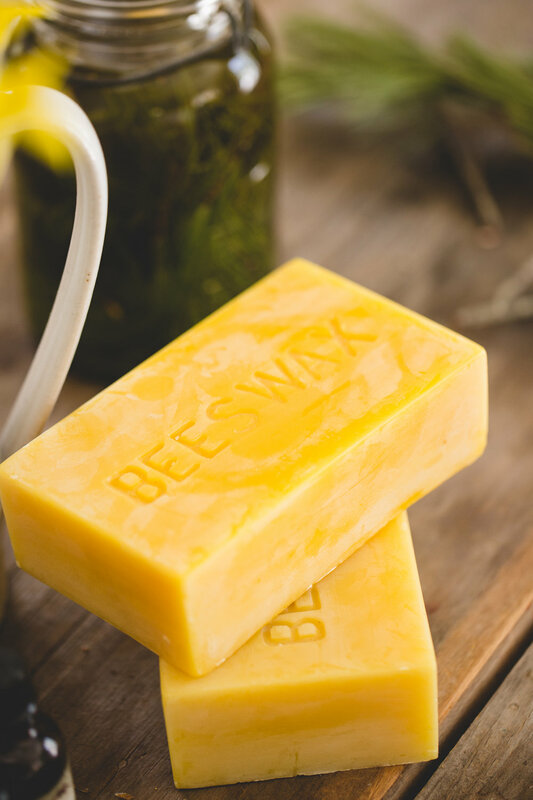 To calculate how much beeswax to use, add approximately 1 oz. by weight for every cup of oil. So if you have 3 cups of oil, measure out 3 oz. of wax. Once the wax is melted, add the oil and stir until the wax re-melts. Add essential oil(s) of your choice. Try using evergreen essential oils such as cypress, fir tips or cedarwood to increase the evergreen scent. Pour liquid into tins or glass jars. Label and give out to friends, family or keep for yourself. Enjoy!